Flywire solves complex payment problems for businesses and institutions to empower new opportunities globally and locally. The company processes billions in payments per year, connecting all the entities involved to make those transactions faster, more secure, less expensive, and more transparent. Clients in business, education and healthcare use Flywire’s full-service platform to tailor the payment experience for their customers and to create a single point of visibility and control for payer engagement and receivables management – from invoicing and payment through reconciliation. Flywire also supports its clients with end-to-end customer support including multilingual servicing via phone, email, and chat, as well as around-the-clock online payment tracking. The company is headquartered in Boston and has offices in Chicago, London and Manchester (UK), Valencia (Spain), Shanghai, Singapore, Tokyo, Cluj (Romania), and Sydney. Key investors include Bain Capital, F-Prime Capital (Fidelity), Spark Capital and Temasek. 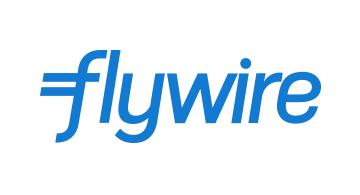 For more information, visit www.Flywire.com.